This is a really nice plan for this vintage airplane. 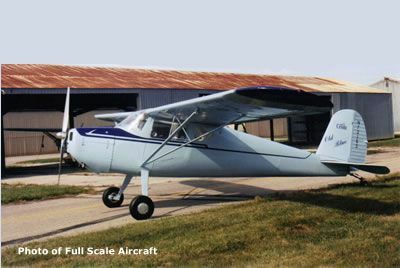 Lots of people learned to fly in this airplane and I’ve received quite a few favorable comments about this plan from such people in my local area. Many of these folks are now modelers and have expressed an interest in these plans. This model calls for a Saito FA-90T engine and is all balsa and ply construction. Scale fidelity is good and many scale details are shown, such as the corrugations on the rudder, elevator and ailerons. The wing uses a semi-symmetrical airfoil but the deviation from scale is minimal. Flap details are also shown.